Osprey Communications has specialist expertise and experience in promoting cultural initiatives – we could help you to promote exhibitions, shows and events more effectively. 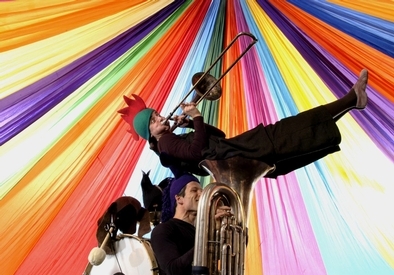 We started working with Kendal Arts International in 2007 to promote a series of innovative outdoor performances. "We looked hard for a PR company which shared and reflected our ideals and who could find intelligent and creative approaches to communicating with a wide and diverse audience. "Osprey has provided a professional service over the last two years, driving our campaigns with energy, genuine enthusiasm and flair, ensuring our passion for what we produce is communicated in a realistic and infectious way." Our work with Lakes Alive, Cumbria's unique contribution to the Legacy Trust UK programme from London 2012, has included extensive PR activity to raise the profile of Mintfest, an international street arts festival that takes place in Kendal, Cumbria. On the creative side, Osprey Communications came up with the idea of a special promotional comic to help raise the profile of the first Lakes International Comic Art Festival in 2013, a European style festival in Kendal celebrating the very best comic art from across the world. 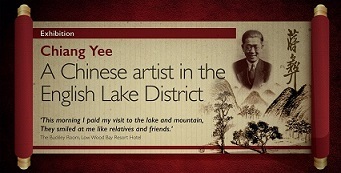 In the field of art, we have helped create an exhibition at Low Wood Bay in Windermere to showcase the unique work of Chinese artist Chiang Yee, whose work was inspired by his visit to the Lake District in the 1930s. This included the design and production of promotional materials and posters. We also played a supporting role in promoting FRED, an annual art invasion of Cumbria, helping to showcase the work of more than 350 artists who created site-specific work at over 400 locations across the county.